You may have lost your car keys or perhaps you require your car lock or key fob repaired? In this case, you might require services locksmiths provide for automobiles. As much as you might try to pick a car lock yourself, you might end up causing more harm than good. We are professional auto Locksmith Company that specializes in unlocking and repairing car locks. At ATL Locksmith Pros, we also replace car keys and generally serve owners of vans, trucks, cars, motorcycles and other types of vehicles with locks. Professional auto locksmiths are qualified and licensed to solve even the most complicated problems on advanced car lock systems. We are not left behind as we can work with almost all car ignition systems, remote keys and transponders without damaging the vehicles. Whether you have broken keys or worn out locks, we will repair and provide a replacement set. Where the individual parts are completely damaged, we can replace the whole system fast and efficiently. Why Use Our Auto Locksmith Service? If you are locked outside your car, you’ll find professional auto locksmiths ready to unlock your car At ATL Locksmith Pros. We are experts in the use of both mechanical and electronic systems to protect, repair and replace all security & ignition systems in cars. Our main aim is to save you time helping you gain access to your car, van or truck. While vehicle security issues are usually worrying, we have the most advanced lock manipulation equipment for use. With our experience and training, you can rely on us to produce quick results especially during emergency situations. With advanced vehicle security systems like electronic and biometric car locks, you require an auto locksmith that can do more than just pick locks. At ATL Locksmith Pros, we specialize in all makes and models of vehicles. We also use computerized wireless system to carry out various lock repair and maintenance services. We offer key cutting services to an assortment of vehicles. We can program electronic keys ensuring that they match those of your vehicle as expected. We have the necessary tools and equipment needed to reproduce spare keys for motorcycles, cars, trucks and all other types of vehicles. This means all the other keys lost or stolen can no longer be used to unlock or start your car. 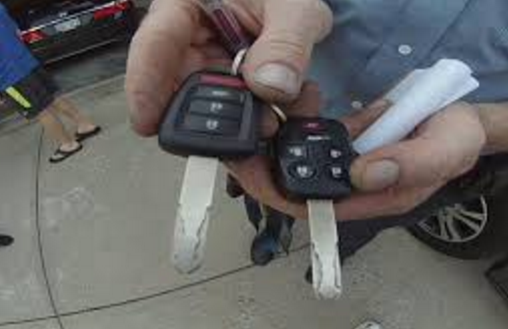 What Remote Key Or Transponder Key Problems Can We Help With? Most vehicles are legally required to have an immobilizer system. Whether you operate your car with remote keys (key-less entry) or an integrated transponder chip (transponder keys) we will program it and provide a spare transponder key. We can also repair and provide replacement keys for vehicles that use flip type keys plus key cards. If you have misplaced your car keys or the transponder chip in your car isn’t responding, you will require services locksmiths provide for automobiles. At ATL Locksmith Pros, we will more than happy to provide immediate access to your vehicle. Call Us Today and get our emergency auto locksmith service working for you. We Never Disappoint! My key got stuck in my ignition and I couldn't get it in park. These fellas showed up and fixed my issue fast and at a good cost. I couldn't be more grateful. Got locked out of my car and these guys came and helped me out of my jam in almost no time at all! I saved their number!